Today the Holy Mother Church celebrates the Solemnity of Saint Joseph, the foster father of our Lord Jesus Christ and Husband of the Blessed Virgin Mary. Joseph appears in the gospels of Matthew and Luke. Joseph and Mary fulfilled their parental duties to Jesus. Jesus grew up in wisdom and strength. Jesus grew to be a good Jew. Joseph was a good father and provider. Matthew assessed him as a just man because of the prominent role he played before, during and after the birth of Christ. there are so many lessons we are to learn from St. Joseph. First, Joseph was a thoughtful person (Matthew 1:19,20). When he learnt that Mary was pregnant and that he was not responsible, the first thing he did was to do nothing. He ‘considered’ the situation. For days, weeks, months… who knows? No doubt he prayed fervently as well. The moral lesson for us: when you have to make a difficult decision, don’t be in a hurry because more mistakes are made by being in a hurry than in delay through prayer and proper discernment. It was this prayerful thought and proper discernment that made Joseph not to send Mary packing so as not to disgrace and embarrass her publicly which could have led to either stoning Mary to death or she becomes an object of caricature. Just put yourself in the case of St. Joseph. As a newly married man, all of a sudden you discovered that your newly wedded wife you revered as a virtuous woman is pregnant and that you are not responsible. It may be so easy to read it in the bible but how many men will condone this situation just like Joseph did without reacting violently and aggressively? The second lesson, Joseph was a ‘just’ man (Matt 1: 19). That is, he lived under the law of God. His obvious question here would have been, ‘What does the law of God say?’ Joseph found the answer in Deuteronomy 24:1. He had to put Mary away. According to Jewish custom, a marriage could only be terminated by ‘divorce’. Indeed, Mary should have been stoned. So the moral message for us: Always ask ‘What does the Word of God in Scripture say about this?’ Nothing is ever right if it contradicts God’s will for us. This is exactly what Joseph was planning to do before he was visited in the dream by an angel of God. The third lesson, Joseph was a tender, compassionate man (Matt 1: 19). He believed that justice must be tempered by love. He had to obey the law of God, that was clear. But how to do it in Mary’s interest was another thing. How could he avoid embarrassing her? Joseph did not want to put Mary to shame. It was revealed to Joseph that Mary was not guilty of adultery at all, but was highly favoured by God and was conceived by the power of the Holy Spirit. The lesson here for us: Always ask, not only what God’s law requires, but how to apply that law in love. His compassion for someone who was ‘down’. ‘In spite of the terrible thing he thought Mary had done to him and to their dreams, Joseph still had deep feelings for Mary and could not find it in his heart to add to her burden. 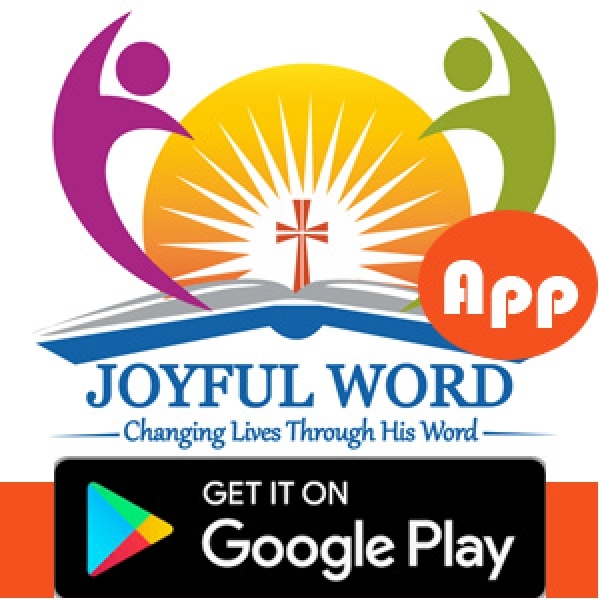 Joseph was humble enough to be willing to listen to the voice of God, even in a dream and believed what the Angel Gabriel told him that with God all things are possible. It is a very big lesson for us too. Joseph was indeed a man of action. With only the word of Mary and words in a dream to guide him, he took Mary to be his wife and took her away from Nazareth to register in his home-town of Bethlehem. He later moved the little family to Egypt to get away from the murderous Herod, then back to Nazareth. 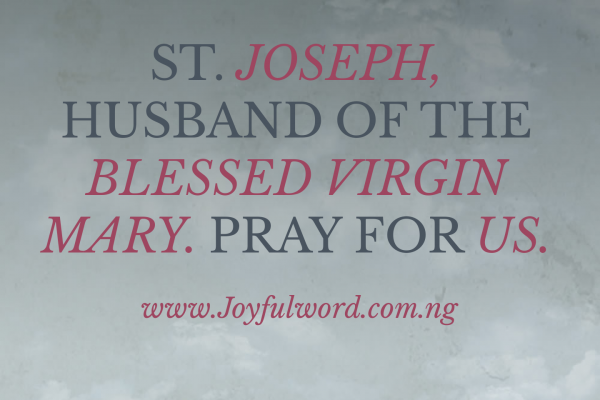 From all these qualities attributed to St. Joseph, we can now see that Joseph was indeed a true husband of Mary and a true foster of Jesus Christ and that is why the Church set out this day to honour this holy man in a special way. Joseph represents what a true husband should be; his simplicity, obedience, a man of action, man of strong faith, his love, caring for Jesus and Mary is second to none. Oh, St. Joseph, whose protection is so great, so strong, so prompt before the throne of God, I place in you all my interests and desires. Oh, St. Joseph, do assist me by your powerful intercession and obtain for me from your divine Son all spiritual blessings through Jesus Christ, our Lord; so that having engaged here below your heavenly power, I may offer my thanksgiving and homage to the most loving of Fathers. Oh St. Joseph, I never weary contemplating you and Jesus asleep in your arms. I dare not approach while he reposes near your heart. Press Him in my name and kiss his fine head for me, and ask him to return the kiss when I draw my dying breath. St. Joseph, patron of departing souls, pray for us. Amen.